Make hay while the sun shines! On our recent weekend getaway, we did just that. 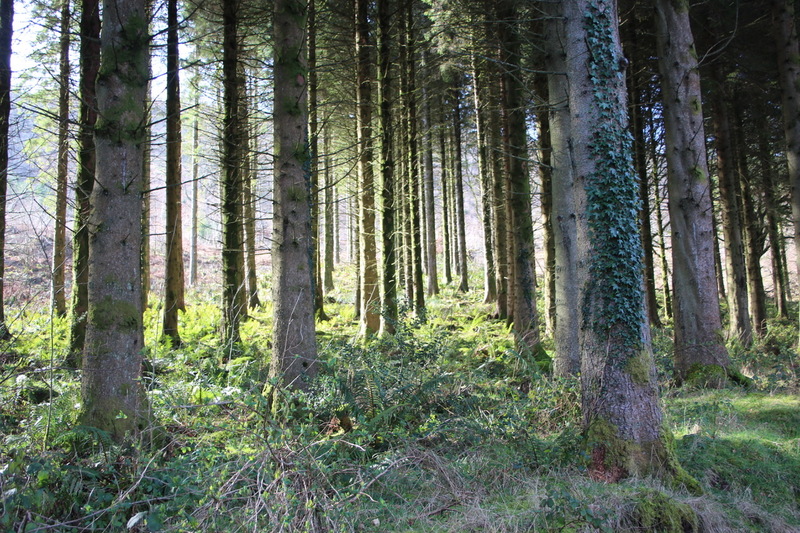 We went to wonderful Wales, and enjoyed every ounce of sunshine, nature, and fresh country air. A completely relaxing holiday, which left us fully recharged — no easy task for a family of four with a pregnant mama! 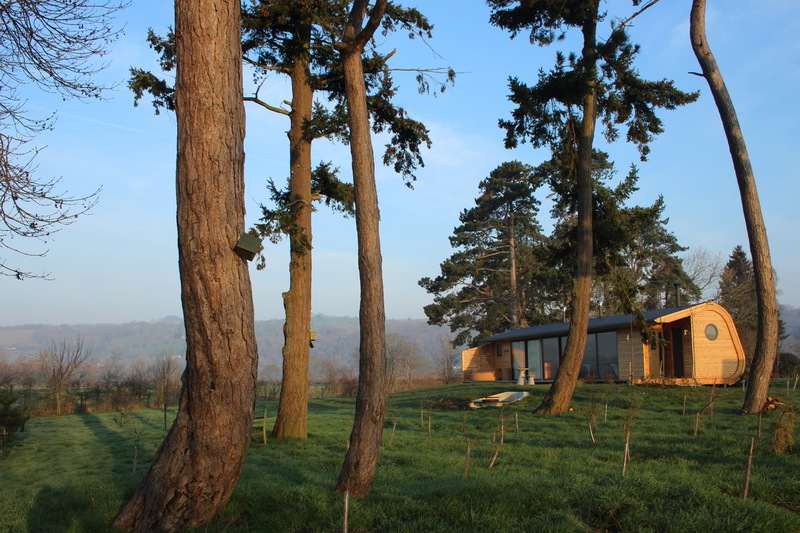 Our home away from home was so beautiful, at the cosy and eco-friendly Cynefin Retreat, that we could have stayed just there all day and loved our holiday. Yet, we were spoiled by all of the adventures waiting for us, and the close proximity of them too. 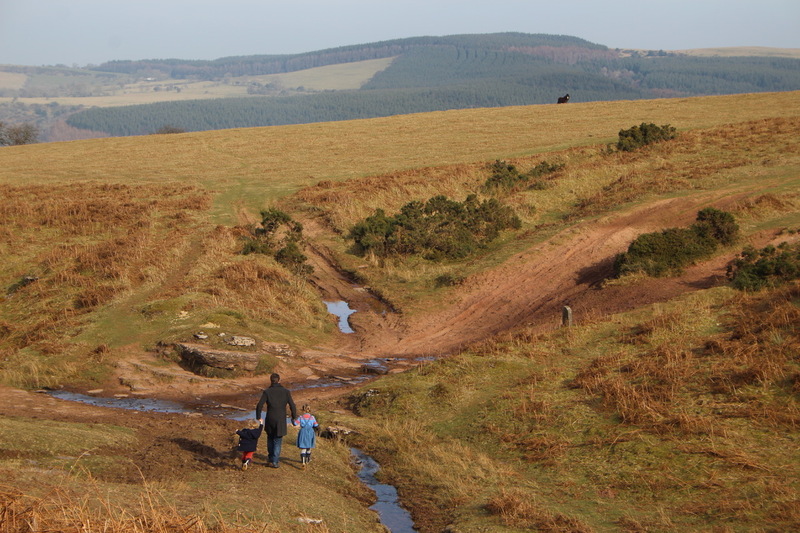 The vast Brecon Beacon National Park — complete with waterfalls, wild ponies, Welsh lambs, and mossy terrain. And then there is the picture perfect village of Hay-on-Wye, an antique store mecca where everything and everyone is charming and welcoming. The good news is that it is easy to get to as well! 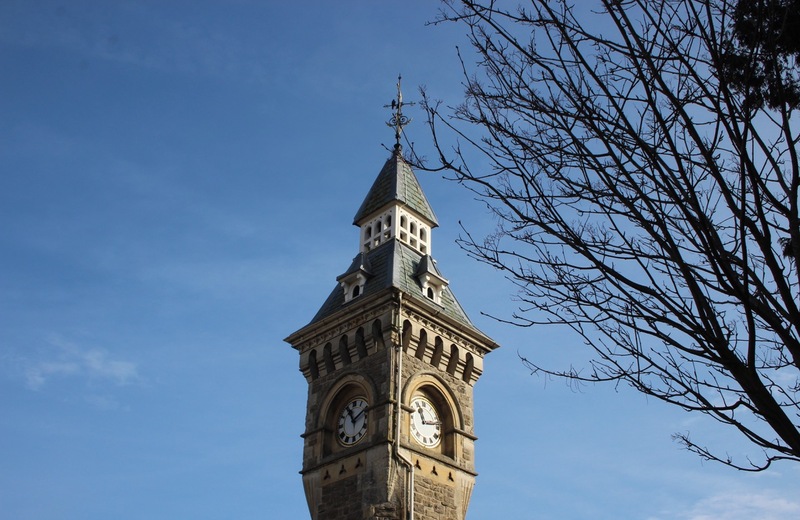 Hay-on-Wye is an easy 3-hour drive from London. 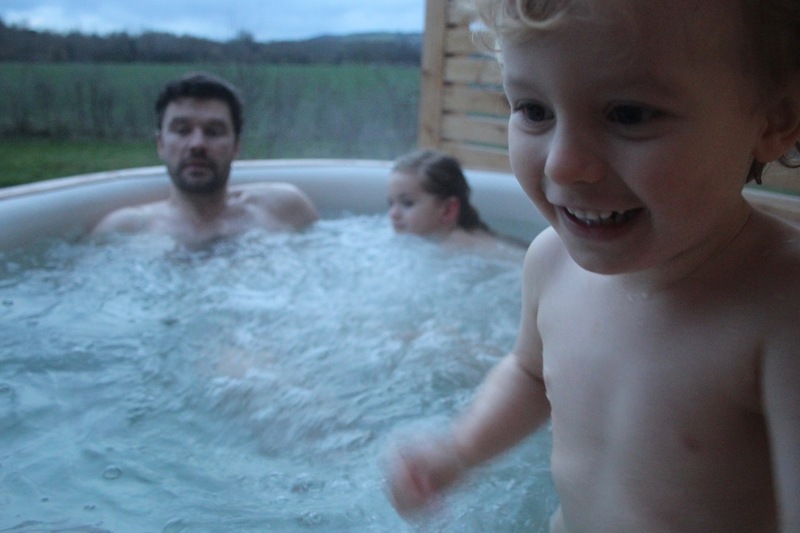 And when you arrive you can shed all your urban stresses starting at the thoughtfully designed accommodations of Cynefin Retreats (the hot tub does wonders to melt away city stress!). Then there is the charming village life juxtaposed with the vast and stunning scenery and breathtaking nature. Fortunately, we lived the best of all worlds — adventure time and chill time. And yes, a weekend would be lovely, but you will want to stay longer. We went for six nights and easily could have stayed longer. I think that says it all! So, I hope these details of our holiday will help you to book this, jump right in, and join us in our love of this teeny corner of Wales. Cynefin Retreat: I will start with the real icing on the cake, which is where we stayed. 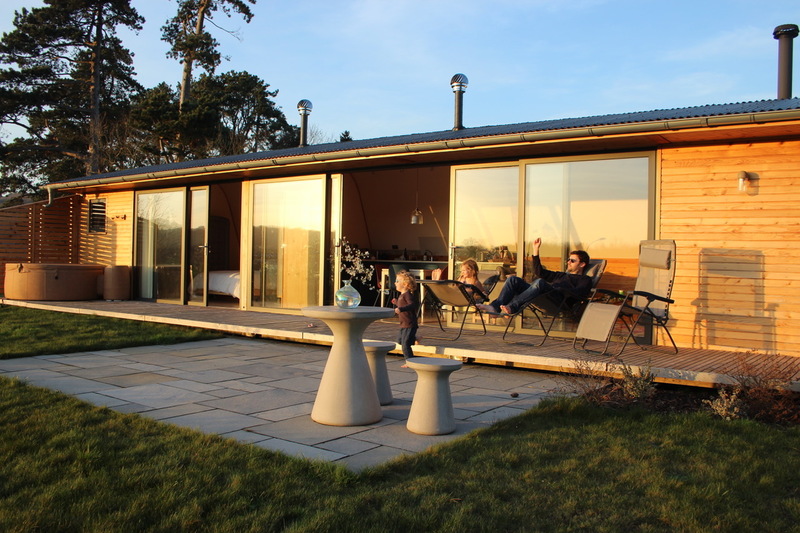 Cynefin Retreat, “where luxury greets nature” is newly opened and is sure to be very popular with couples, young families, babymoons, and more. 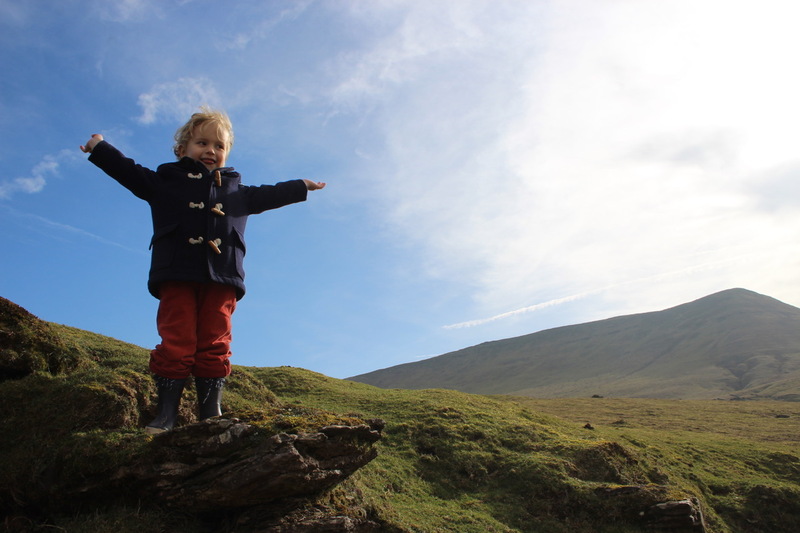 In Welsh, Cynefin is the word for a profound sense of place. And it is exactly that. Created on a plot of land originally housing some derelict barns, they wanted to design homes that rejuvenated guests with the landscape. 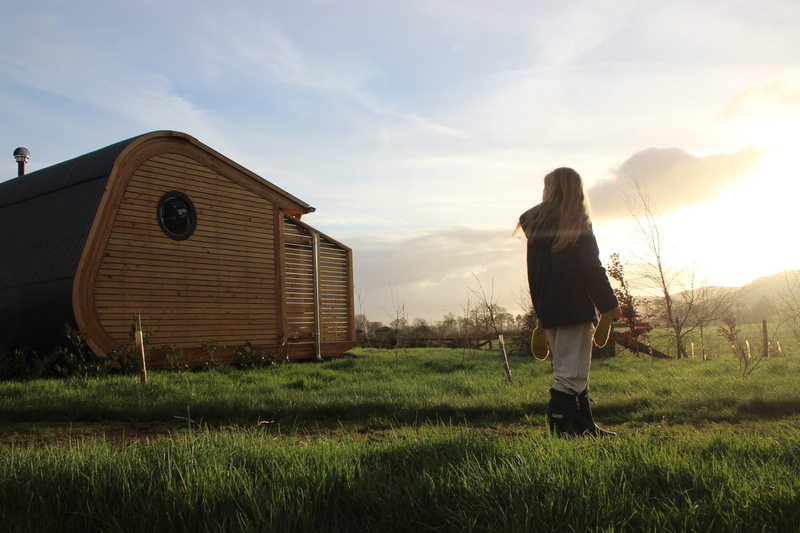 So the wooden pods were handcrafted by a team of local engineers using sustainable principles and created to sit gently in the landscape. And they do! With an entire perimeter wall made of floor to ceiling windows. The countryside is the stage and you are an audience member to nature. 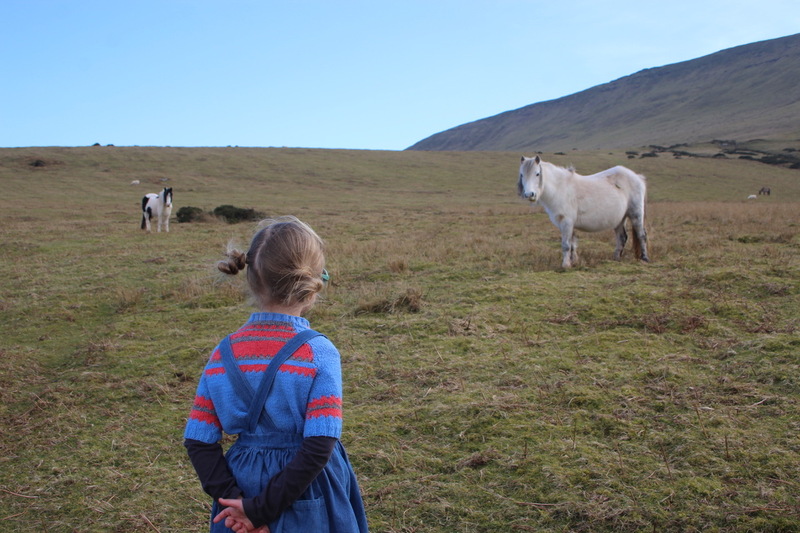 Horses and cows in fields, sunrises and sunsets to bookend your day, and a blanket of twinkly stars in the evening. It is such a treat. 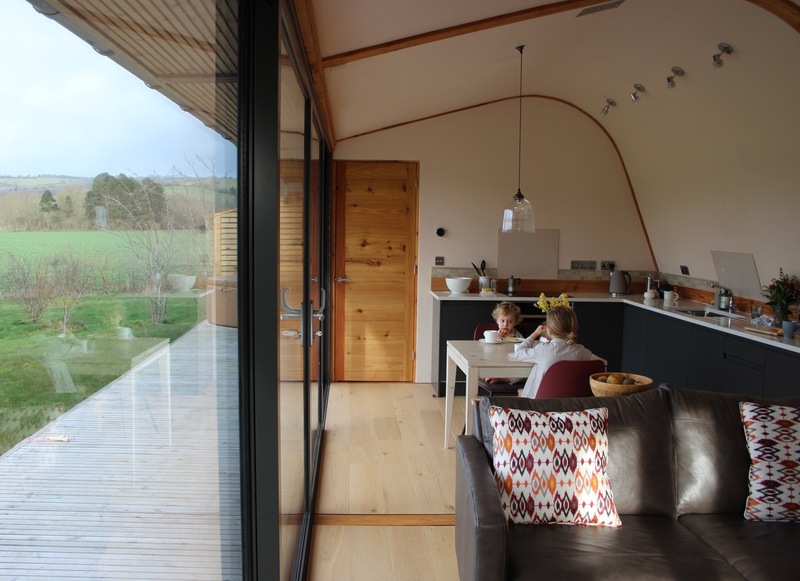 Each eco-pod is also constructed to the highest standards of energy efficiency and management. So you can feel good staying here! 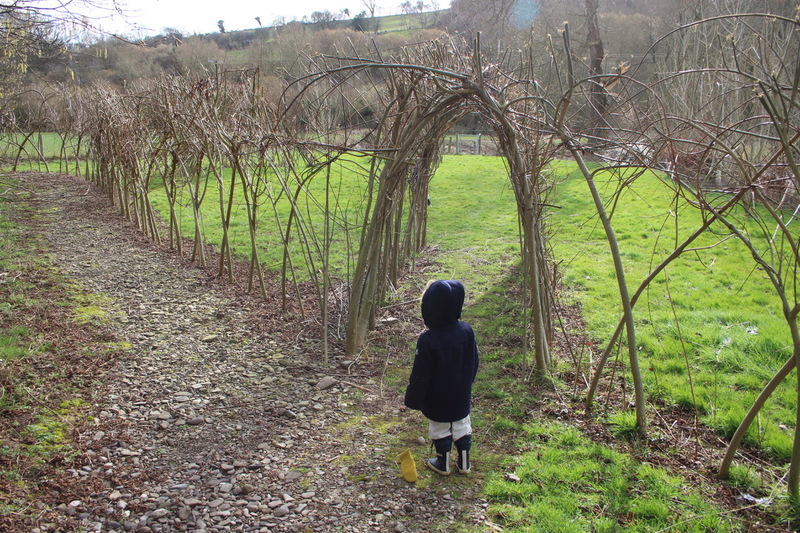 And a short walk from the pod is a little path, with daffodils and snowdrops, and a willow yard where we enjoyed picnics and romping about, as well as various public walkways. 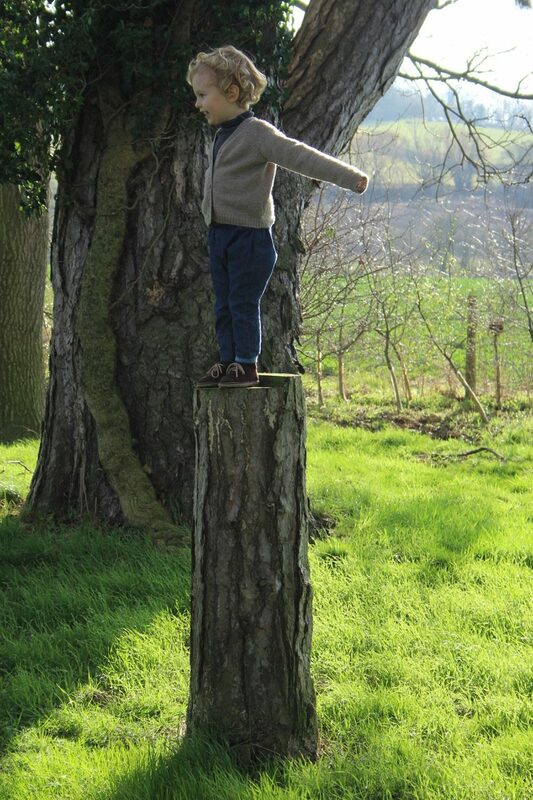 Cynefin has created habitats to encourage wildlife for mammals, bats, and birds (with the help of a local ecologist), so in the early morning, while making breakfast, the kids freely roamed thru the grounds to see the owl house, climb logs, collect sticks, and generally roam freely. Such great freedom for our city kids! 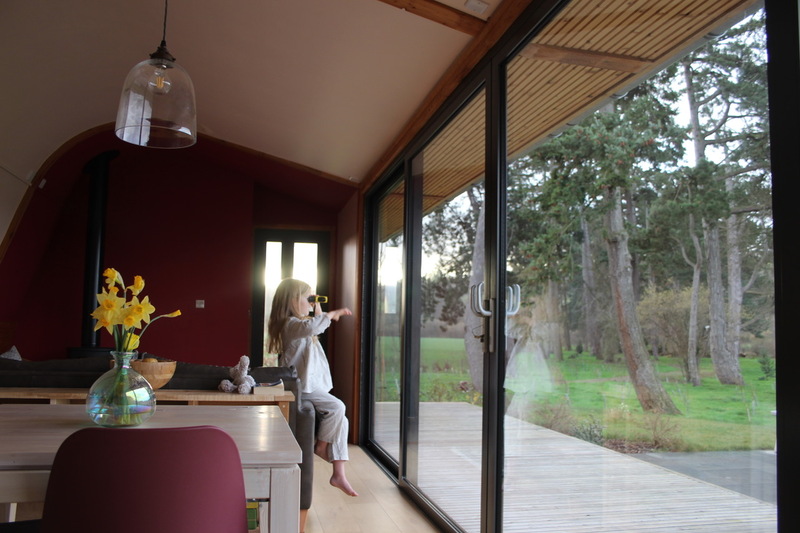 We enjoyed relaxing at Cynefin so much that we always made breakfast and dinner at home, and loved that the eco-lodge had everything we needed. 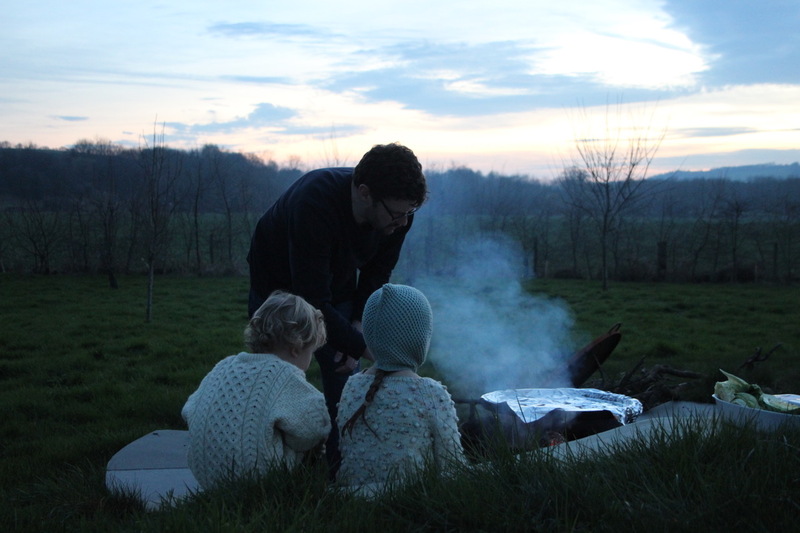 But our best dinner the whole week (as voted by our children) was over the fire pit— which was— with sausages, potatoes, and cabbage, as well as roasted marshmallows for dessert! 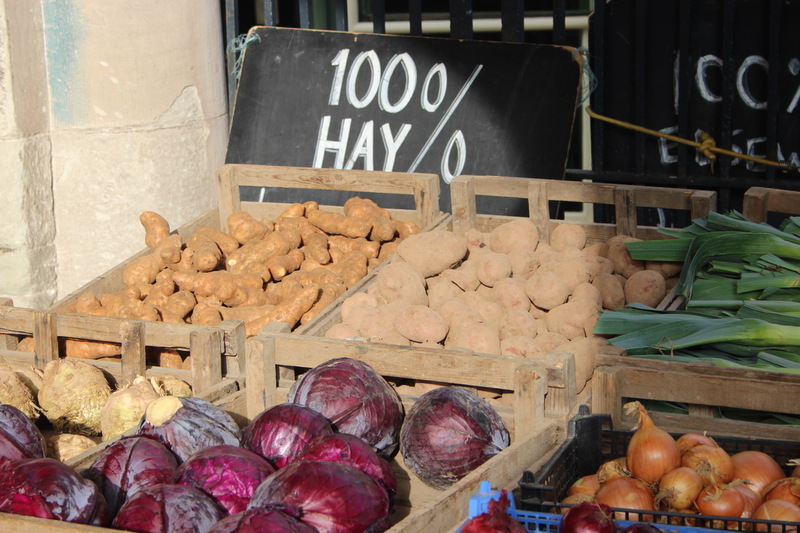 All fresh, local food from the farmers makes in Hay too! (More on that later.) 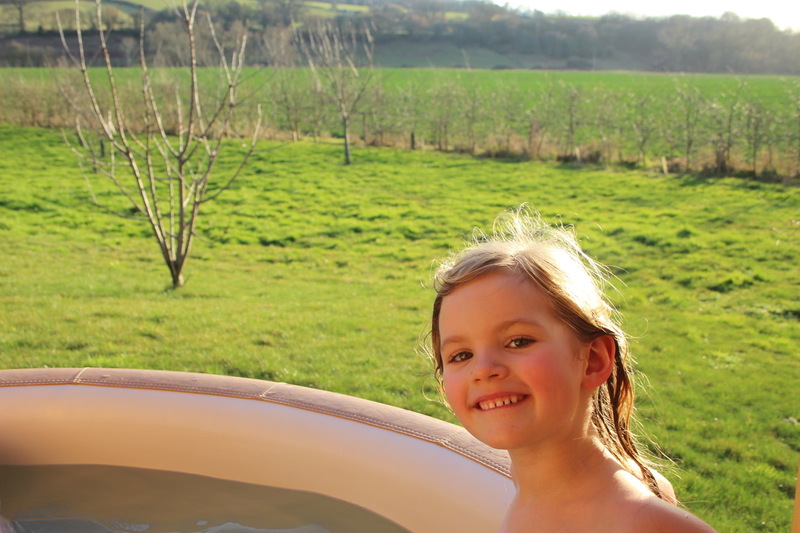 And the hot tub was also a hit, and often a sun setter activity. And every evening before the children went to bed, we ended the day with story time under the starry sky cuddled under big blankets. Absolute perfection! Cynefin truly has designed your experience to embrace all that is spectacular about nature. Technically it is a one-bedroom accommodation, but we decided to pretend we were glamping and squeeze in. We don’t mind sharing beds with our little ones (5 and 2 years old) and we had a back-up air mattress. It depends on how you travel, but for us, it was easy and worked well, with not one complaint from anyone on comfort or sleeping. So I would not let the layout turn you away. 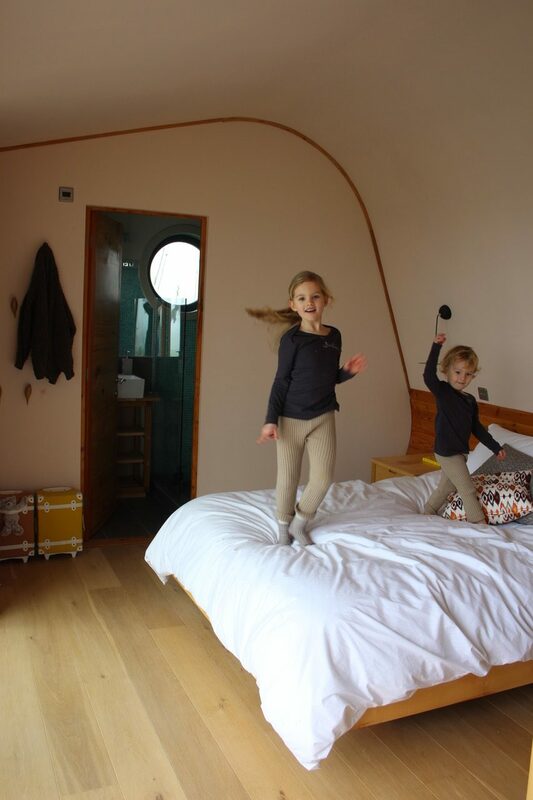 They can offer a child’s cot and children under 10 can sleep on the sofa easily too (ask them for details when booking). 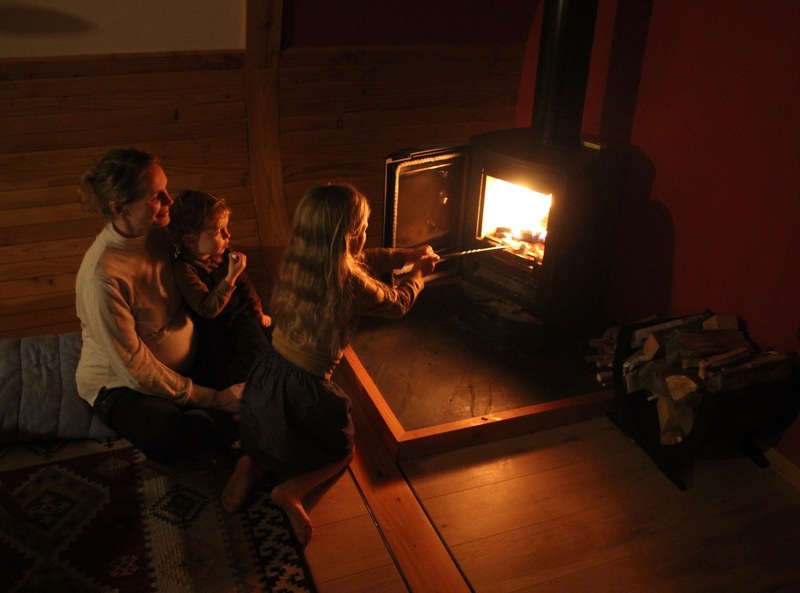 It isn’t really a perfect place for multiple kids or a big family, but is perfect for small and young families! 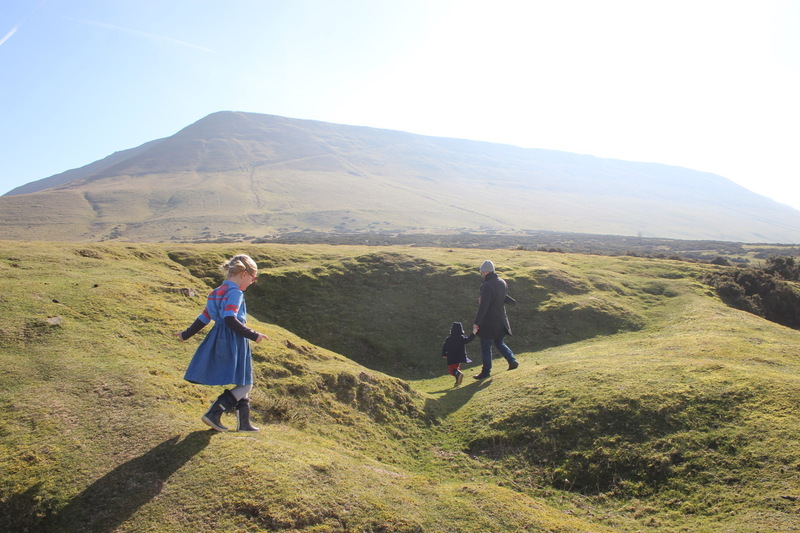 Hay Bluff : this can not be missed. We almost didn’t go with an abundance of things locally that we wanted to do, but we are so very very happy we did visit it, and actually could find very little info on it online, but it is absolutely spectacular and so very close to Cynefin! We can’t recommend it highly enough. 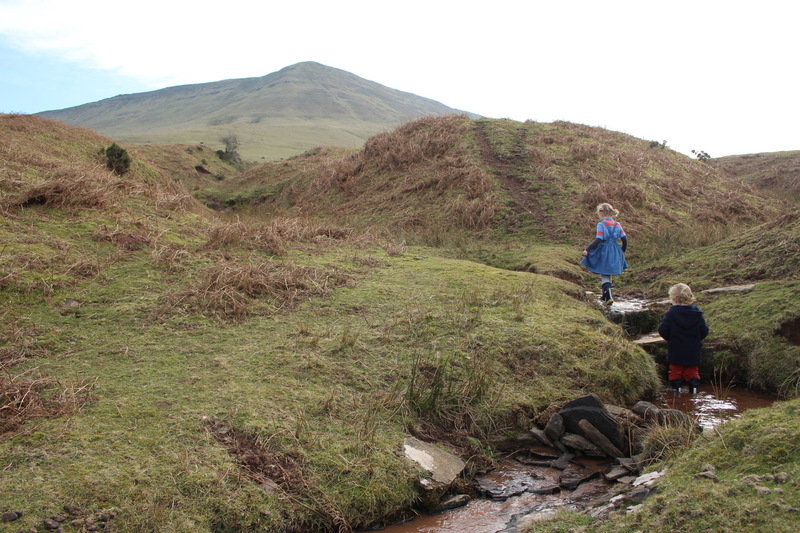 Hay Bluff is part of the Black Mountains (which is part of Brecon Beacons). 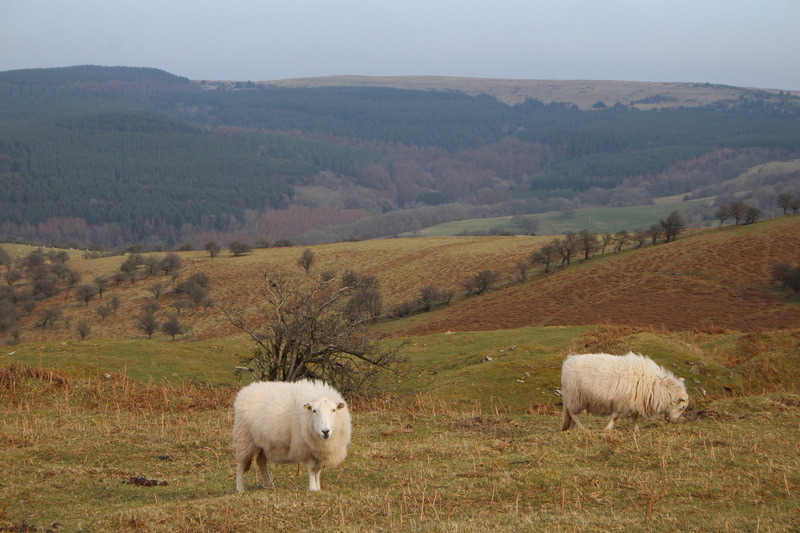 It’s a 7 min drive from Hay-on-Wye to the parking area that has stunning views on both sides and wild ponies & sheep. Possibly Welsh lambs depending on the season too! 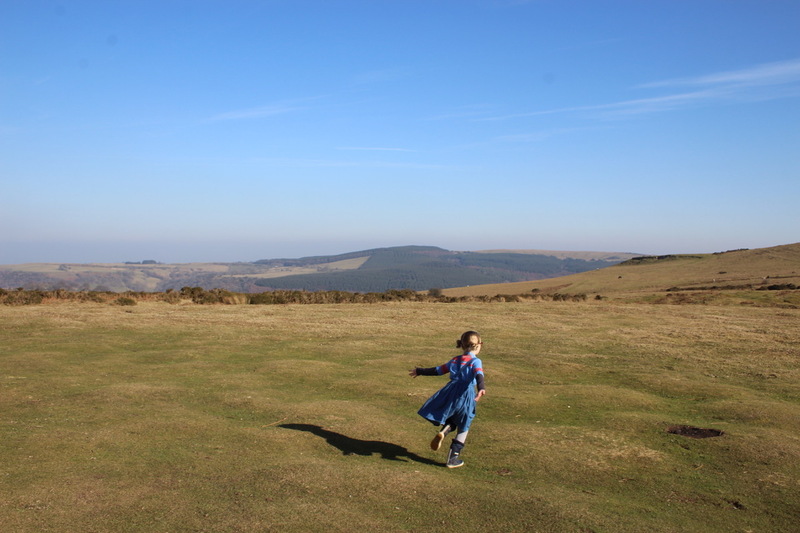 You actually park in a very basic little lot on top of a hill, and then you can hear the music … The Hills are Alive! ok, you don’t actually hear it, but if you have a 5-year-old ‘Sound of Music’ fan, you will hear them sing it. It is breathtaking. Gobsmacking-ly beautiful. Choose from the views on both sides of the parking area. The horizon line is endless around you. With vast views over the tiny villages in the far distance. There is mossy terrain with bowls of earth so big you can roll, run, and picnic in them (as we did). And there is the higher ground which you could hike up, with rocks to climb, sheep to watch, and wild ponies too that just casually look at you as saunter past. A little stream to splash in. And basically, it is just a storybook moment waiting to unfold. 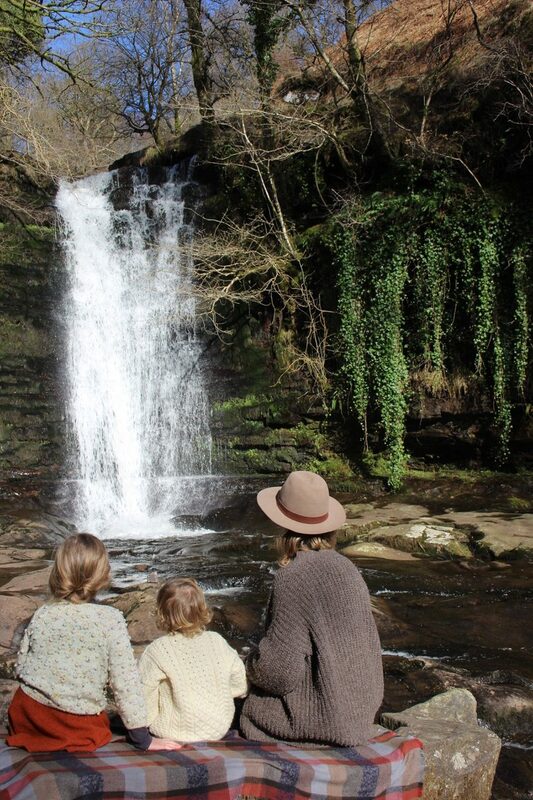 The Sgwd Gwladus Waterfall: this was a farther drive from Hay-on-Wye but completely worth it!!! 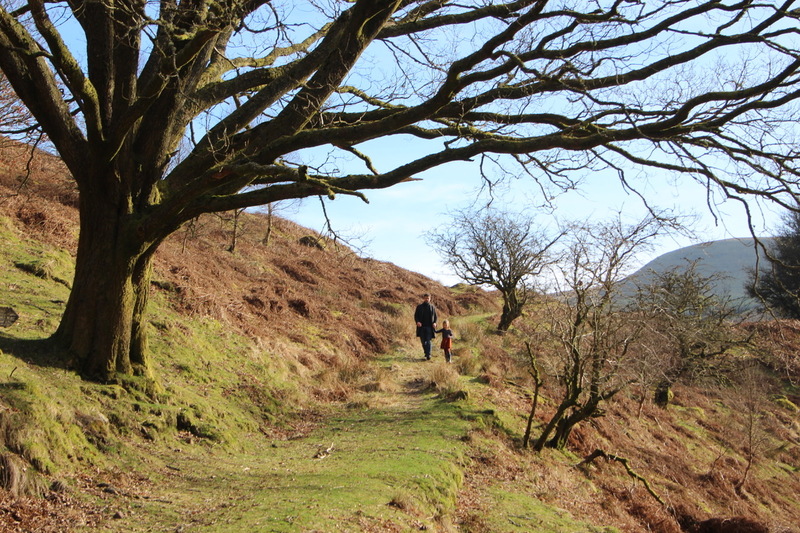 It was recommended by a local with children as it is an easy walk, great for picnics (yes! ), and so beautiful too. 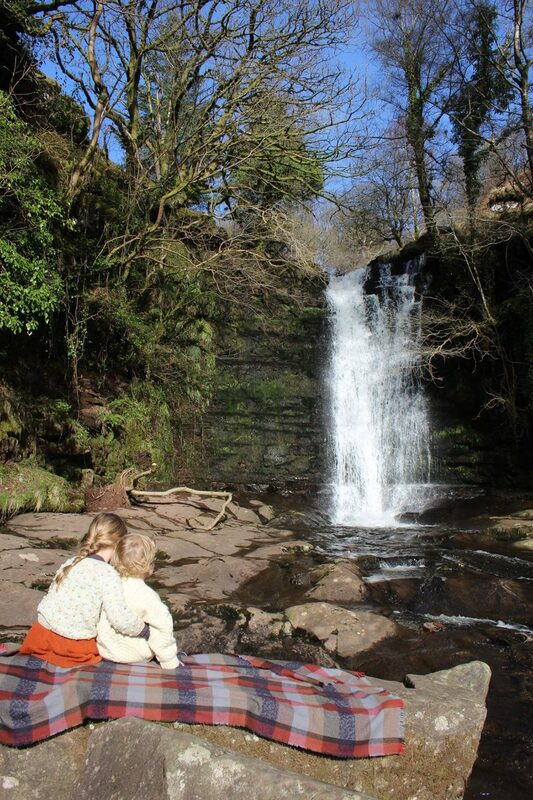 The waterfall is in a very long named Welsh village called Pontneddfechan Village, or look for the Post Melin-Fach car park / Elidir Trail (Sgwd Gwladus Waterfall). 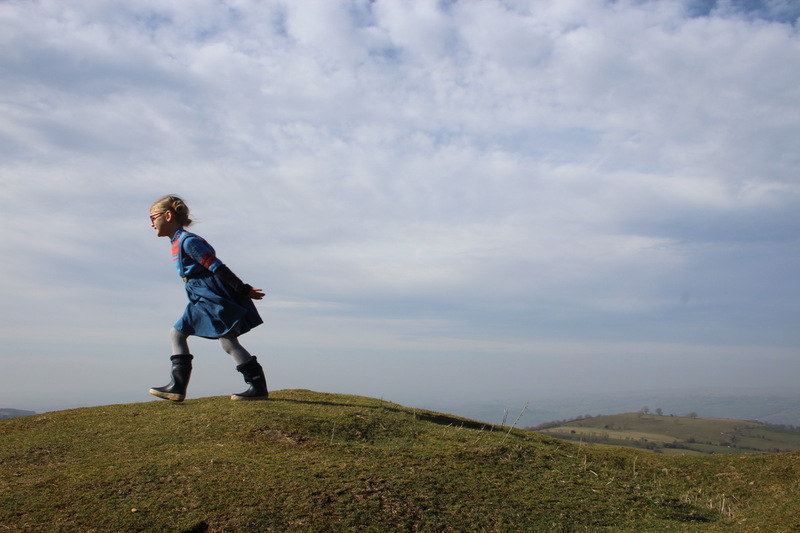 It’s an easy 5-minute walk and even a 2-year-old can do it! 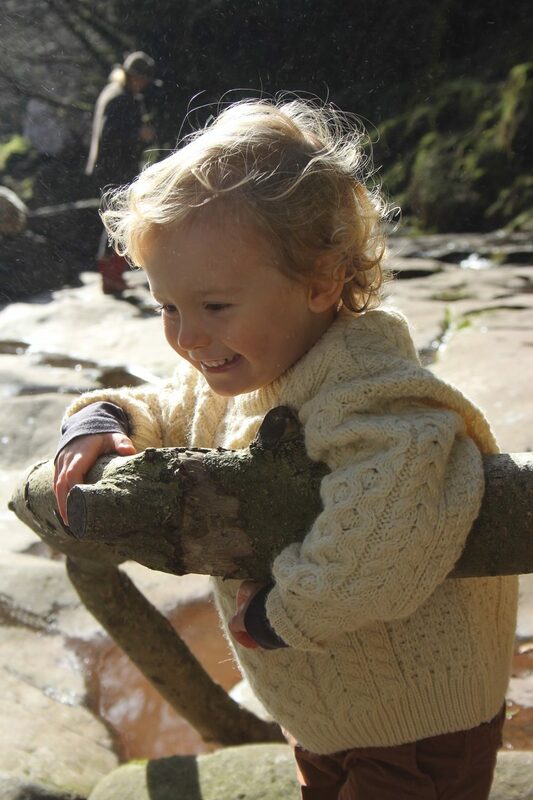 It was a day of absolute joy — a picnic looking at the waterfall on a big stone slab, with splashing in the stream, throwing Pooh Sticks under the bridge, climbing trees, and enjoying nature. 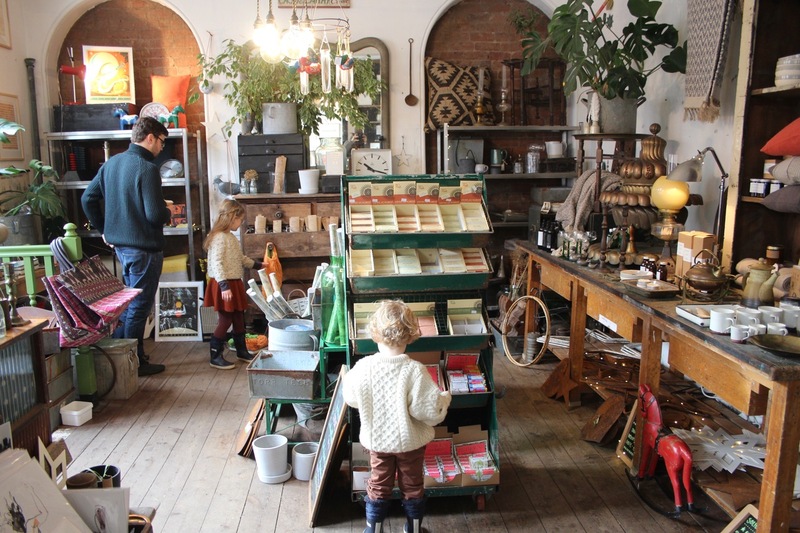 Hay-on-Wye: You will meet some of the loveliest and most welcoming locals in this village filled with a variety of some of the cutest shops selling antiques. there are classic greengrocers, butchers, and more. 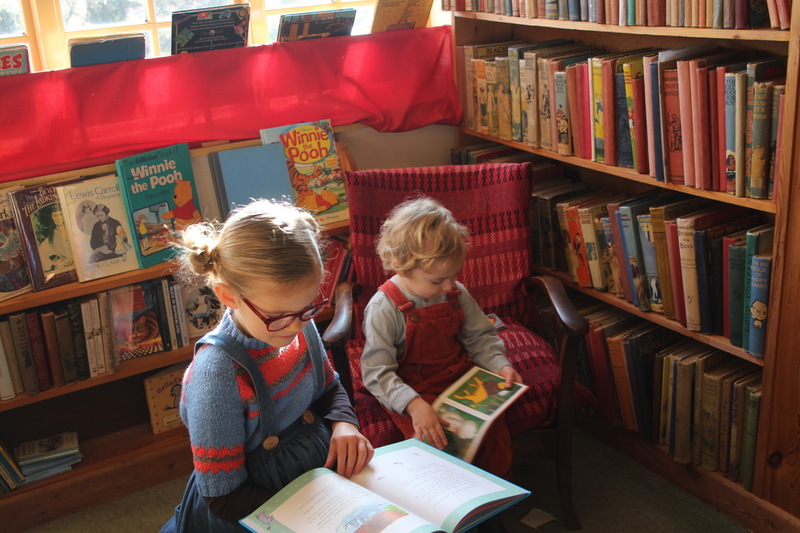 But what is most striking, and what Hay-on-Wye is infamous for, is the incredible number of second-hand bookstores — more book shops than you could explore in a day. Once a year there is also a literary festival, the Hay Festival, which attracts some of the most interesting minds and most prolific writers too. Good to plan ahead for if you and your family are bookworms. 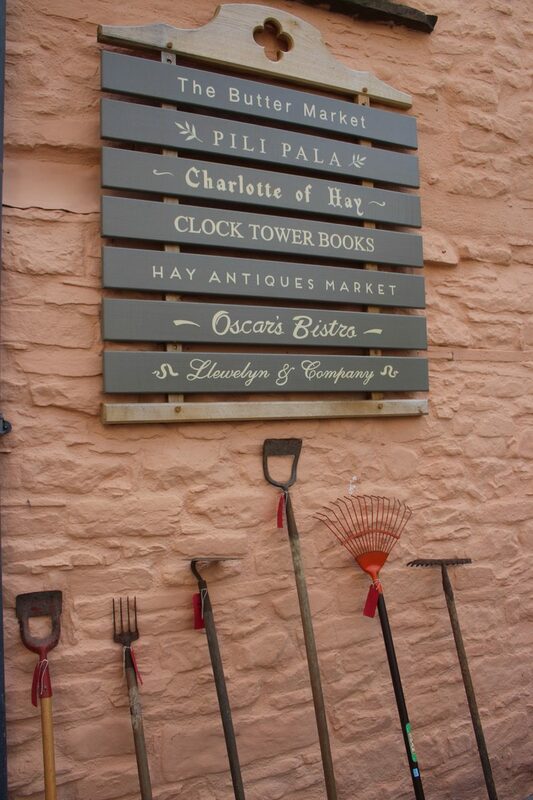 There is a lot to see and do, and Thursday is a fun morning to visit Hay-on-Wye to support the Farmer’s Market. It is small but sweet, and a great way to meet the locals. 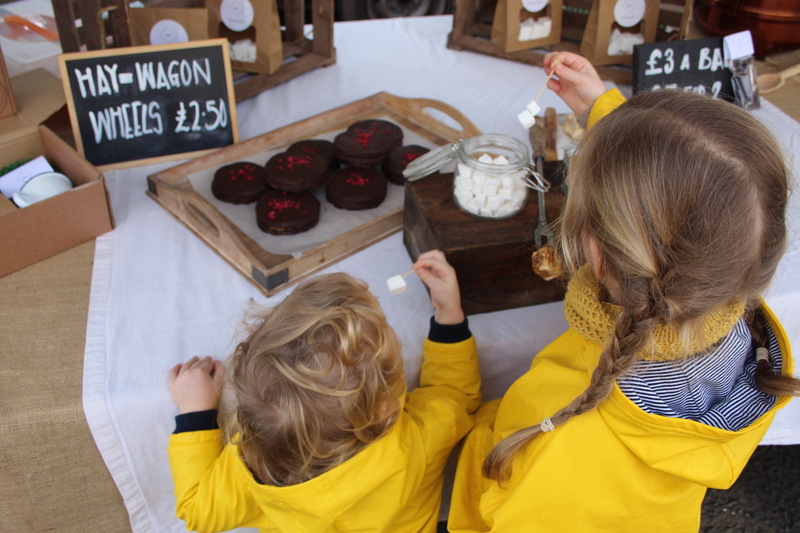 At the market, we had the most delicious marshmallows ever, called MeMallows! Let’s just say we roasted the gourmet marshmallows on three of the six nights! The MeMallows owner is lovely and gave us the best local tips, including the waterfall information. There are other local businesses at the market too. Kombucha, gourmet cookies (the Welsh Jammy Dodgers were out of this world! ), locally raised meat and veg, etc. We highly recommend a Thursday morning trip to the market. Old Electric : we stopped in daily for delicious chai tea and coffees (and a few sneaky sweet treats) but that is only one small part of this very cool store. 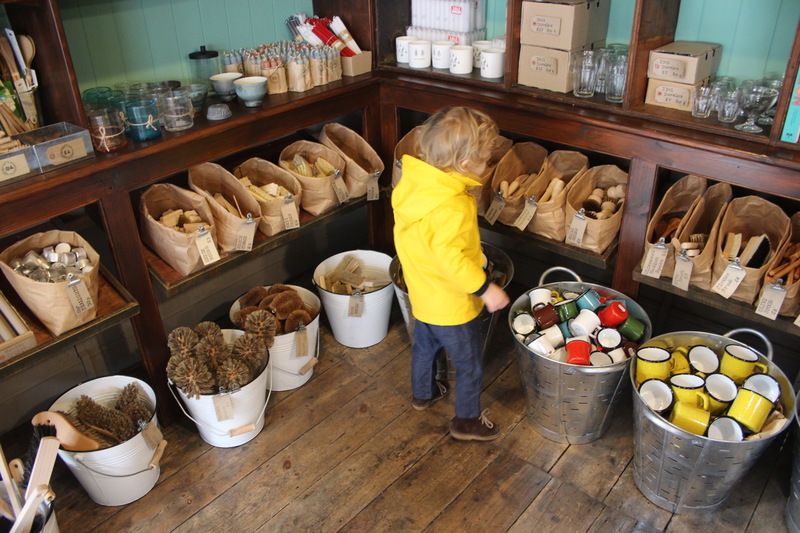 It is a new and antique goods shop you can get lost in for hours of shopping fun. With clothes, home goods, kids items, lovely gifts and more! It is also a cafe, cocktail bar, and event space too. A must visit! 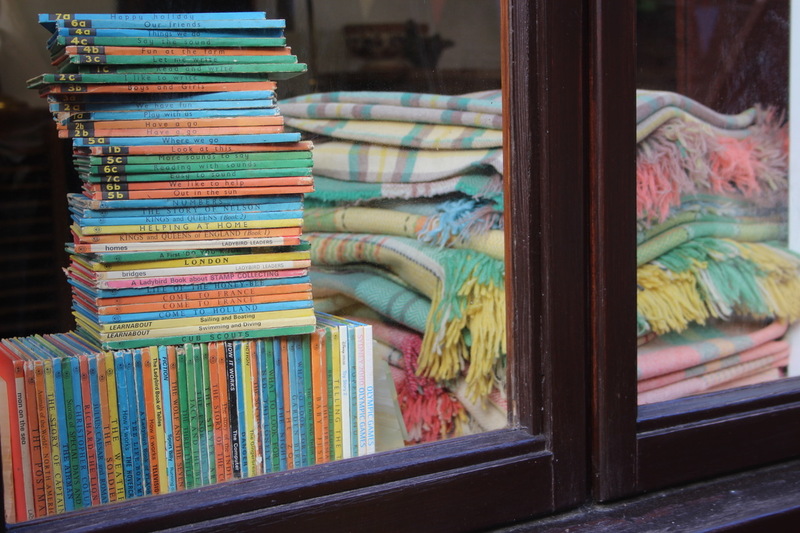 Richard Booth : one of the largest bookshops in Hay-on-Wye and worth visiting! The Story of Books : it is an incredible gem of a store & gallery space all about typography and with a collection of antique printing presses. Amazing, quirky, and filled with rich graphic / typography history and art. I met the owner on Instagram from a friend and love hearing her vision and ideas. A unique place to visit in Hay! 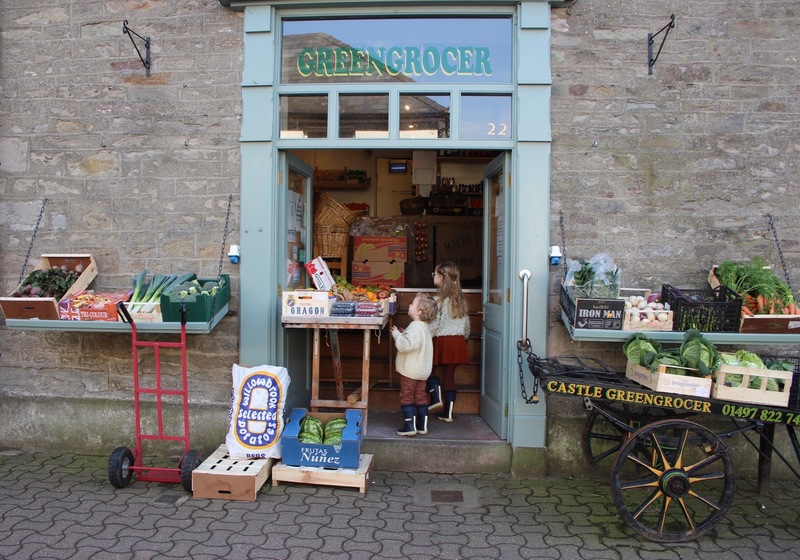 Castle Greengrocers : we loved this shop for all our vegetables and fruit, and used it daily to stock up before our picnics. Such a lovely family run shop. 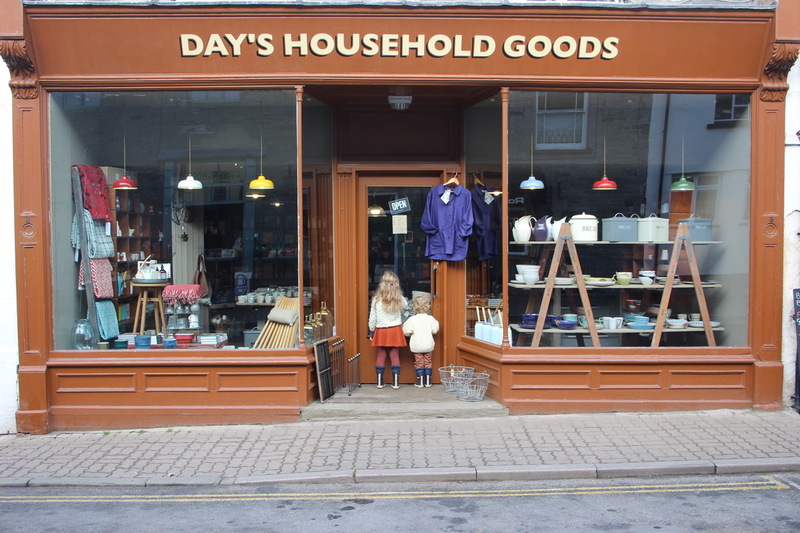 Day’s Household Goods Store : this shop fills all my needs for organisation, cleaning, and quality goods. 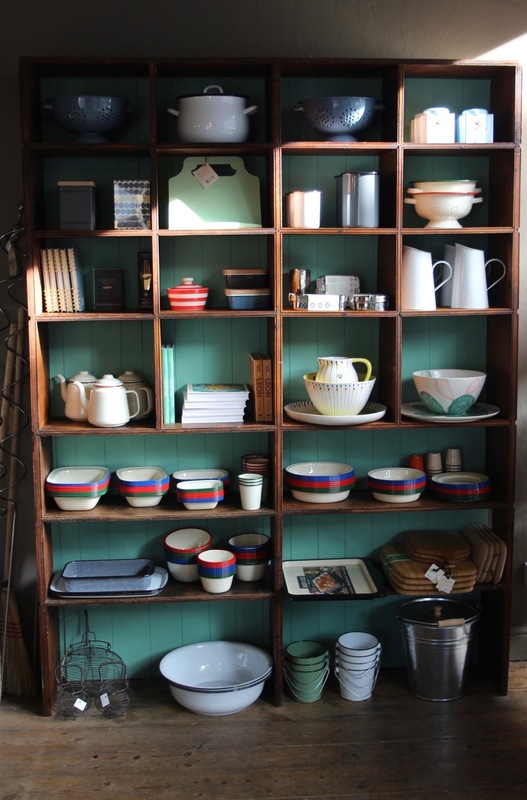 It has two floors and is beyond perfection for those of you who appreciate well designed, utilitarian items for the home. C.J. Gibbons Butchers : delicious local meats grill and cook but also stop in and get homemade great Sausage Rolls, Scotch Eggs, and more — perfect for picnics as well. A family business of 33 years. 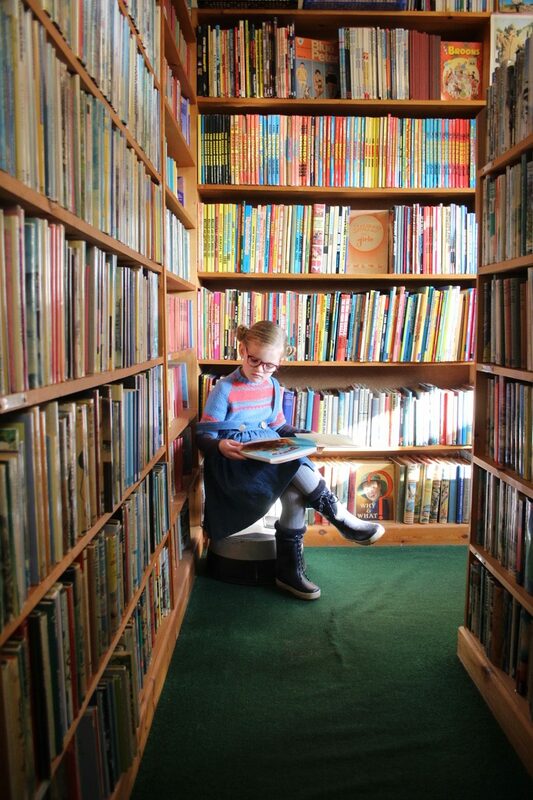 Children’s Bookshop : you cold easily spend hours in this chocolate-box shop of antique children’s books. 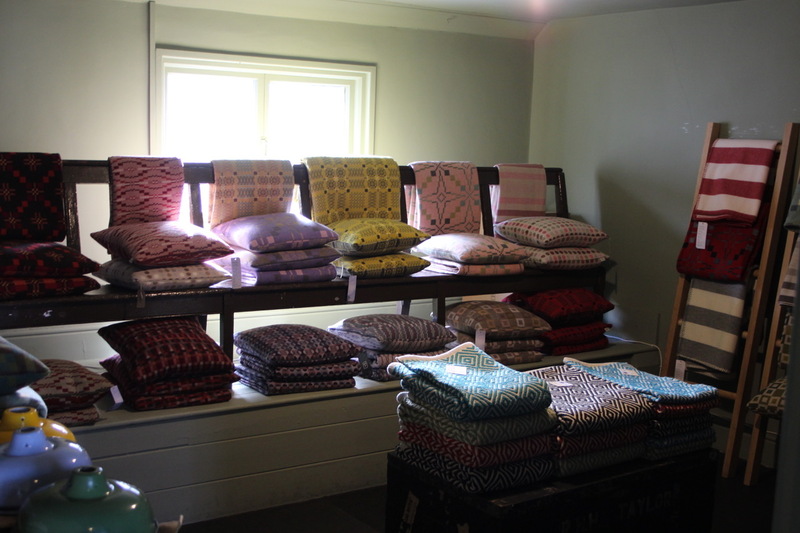 Independently, family owned, with a lovely grandma running the shop, this is the sweetest place. We probably bought over two dozen books! She stocks books from the 1920s and beyond, with some rare and first editions too. 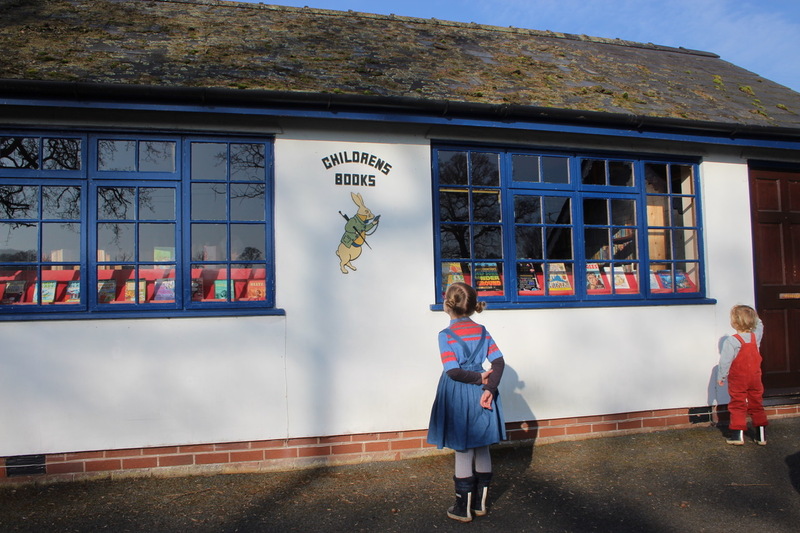 From Flower Fairies to Rupert the Bear, to Lewis Carrol, Enid Blyton and more. A must see. 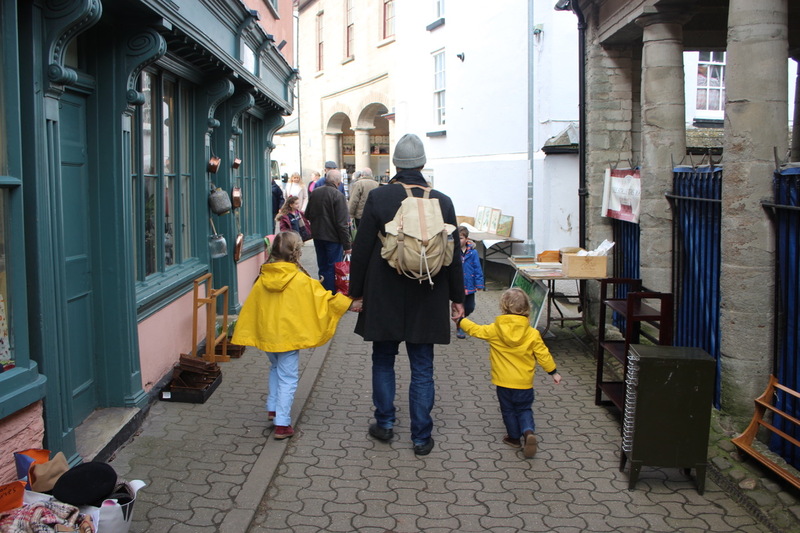 As you can tell, we loved our time in Hay-on-Wye, Wales, and at the fabulous Cynefin Retreats. Hopefully, this post will help inspire you to plan your time away here too! Every parent (and grandparent) deserves a respite. 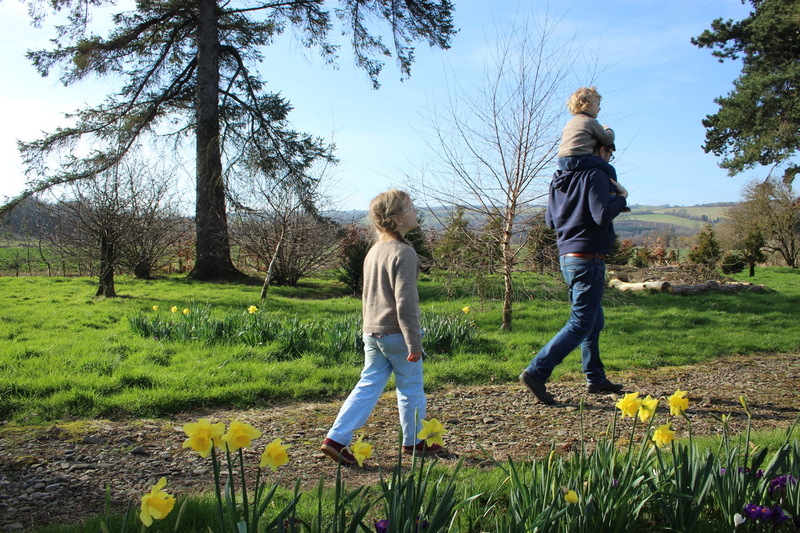 Our time away left us all feeling lighter, brighter, and a bit healthier too… the country air and views can do that to you! 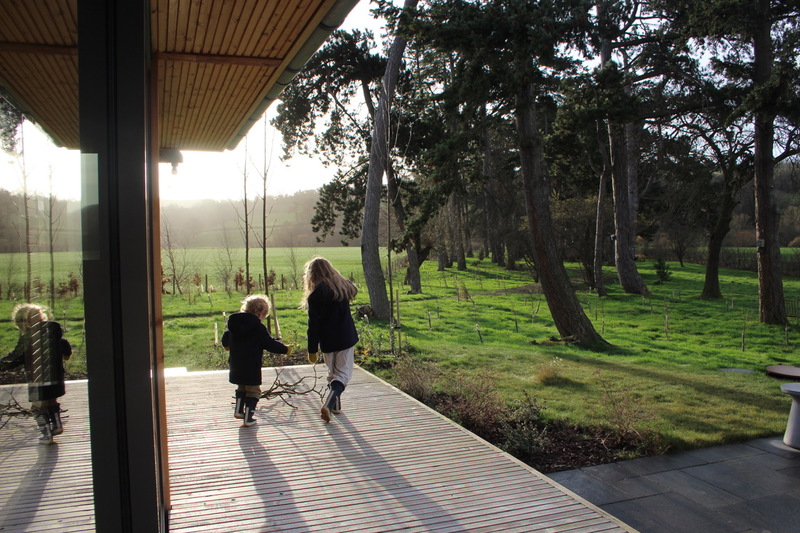 This newly opened set of eco-lodges is sure to be a success, and really is a gem. It is a perfect little part of the UK. And Wales truly is wonderful! Our other family favourite getaways can be found here : a babymoon with a baby in the fabulous Crillon le Brave in Provence, a family holiday in the lovely St.Pierre de Serjac in Languedoc, our cultural trip to gorgeous Granada, and a sunny retreat in Taormina, Sicily. So glad you enjoyed your trip to our quirky little part of Britain. 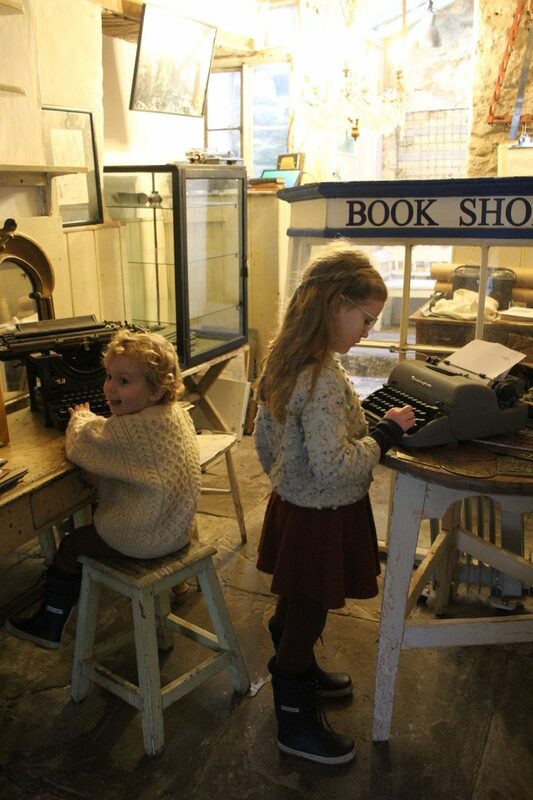 Hay-on-wye is a national treasure, and we just LOVE to welcome visitors of all ages!